There are venues and then there are venues. The Women’s Conference is quite the venue. The Women’s Conference is unique for two reasons. First, it’s huge. Tickets for the event sold out and this means that about 25,000 people were in attendance — most of them women. There were some men, but not many. I felt for one man in particular when he walked past me early on Day 1. He was a 30-something loaded down with shopping bags, the fingers of one hand stretched to the limit as he tried to keep together the handles of one of his bags. What he looked like after walking the entire Village, I’ll never know. Exhibitors. There were many. Three hundred fourteen to be exact. The Retail category was the best represented with 102 exhibitors. This category was followed by the categories of Health (56), Community Service (56), Education (25), Other (20), Entertainment (19), Finance (13), Government (13), Technology (5), and Travel (5). Not all exhibitors worked within 100 square feet. 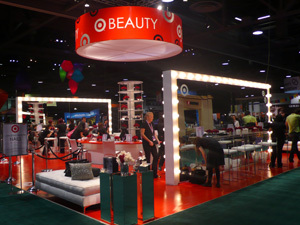 The corporate exhibitors such as Target (a conference sponsor), had much larger spaces. 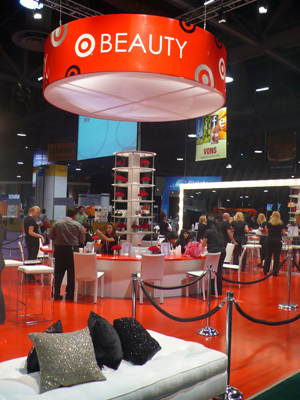 The theme to Target’s exhibit was “Beauty” and there was a non-stop flow of women seated around a center counter and in front of large mirrors receiving beauty tips and makeovers (these photos were taken before the crowd entered). The Women’s Conference is also unique for its energy. The force behind this energy is no doubt California’s First Lady, Maria Shriver. Always articulate and very real, Shriver’s positive energy nudges conference attendees into action. The conference team and inspirational guest speakers reinforce Shriver’s message to women which is: listen to your gut, be true to yourself, and be an “architect of change” first with yourself, then in a way that benefits others. Their message doesn’t stop with feel-good words and pats on the back. All involved provide suggestions and guidance as to how to get the job done. The energy and momentum generated by the conference lingers for days afterwards. This is obvious when encountering conference attendees in hotel elevators the day after and when reading conversations in forums and blogs across the Web. Undivided attention and honest conversation goes a long way and can even change a life or two or hundreds. 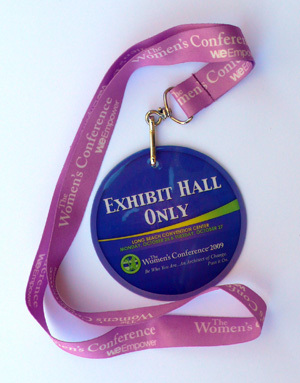 Observations at previous womens’ conferences and at various botanical art venues convinced me that The Women’s Conference was exactly where ArtPlantae needed to make an appearance. Both types of events are attended by women who are passionate about what they are doing and by women who are excited about what they are (finally?) doing for themselves. According to those polled so far, ArtPlantae’s readers are women, usually over age 40, and often age 50+. So The Women’s Conference seemed an ideal venue at which to introduce contemporary botanical art and how-to references to an audience with a re-energized awareness of the life and opportunities around them. I followed my gut and as a result had nice chats with teachers and friends of teachers, gardeners and friends of gardeners, horticulturists, herbalists, a student of Nina Antze, and a newly minted graduate who studied botany. There was widespread interest in ArtPlantae’s educational objective and this was very encouraging. The book Botanica Magnifica had many admirers and the pencils and handouts that were distributed had many takers. 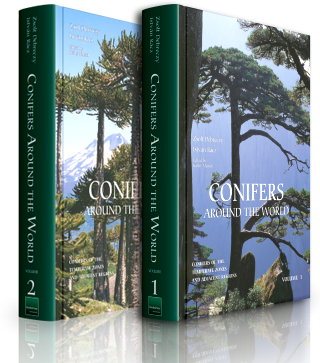 Information about a the Botanical Artists Guild of Southern California, Filoli Estate & Gardens, and the Northern California Society of Botanical Artists – other California organizations dedicated to the promotion of botanical art – was also distributed. At the end of the day, ArtPlantae’s participation in The Women’s Conference was a worthwhile experience. Have you taken the Reader Survey? Your participation in the Reader Survey is important because only you can provide the information being requested. Please take a few moments to make a few clicks with your mouse by clicking here. Thank you!